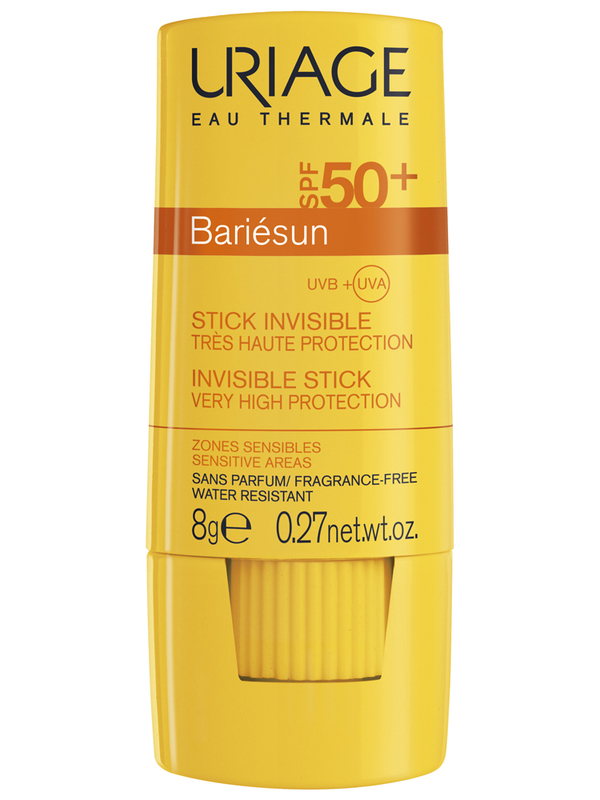 Uriage Bariésun Invisible Stick SPF 50+ very high protection is a stick enriched with Thermal Spring Water. 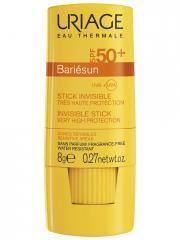 Resistant to water, it protects fragile areas, moisturizes while protecting against UVA and UVB. Its brings softness and comfort to the lips. Ultra-compact, it doesn't melt down, doesn't crack. Indication: Protection of the lips. Octyldodecanol, Dicaprylyl Carbonate, Polyethylene, Bis-Diglyceryl Polyacryladipate-2-Diethylamino Hydroxybenzoyl Hexyl Benzoate, Ethylhexyl Methoxycinnamate, Silica, Ethylhexyl Triazone, Cera Alba (Beeswax), Cera Microcristallina (Microcristalline Wax), Ethylhexyl Sallicylate, Bis-Ethylhexyloxyphenol, Methoxyphenyl Triazine, Synthetic Wax, Methyl Methacrylate Crosspolymer, Dipentaerythrityl Tetrahyxostearate/Tetraisostearate, CI 77891 (Titanium Dioxide), Butyrospermum Parkii (Shea) Butter, Triticum Vulgare (Wheat) Germ, Helianthus Annuus (Sunflower) Seed Oil, Tocopheryl Acetate, Ascorbyl Palmitate, BHT, Tocopherol, CI 75470 (Carmine), Maltodextrin.